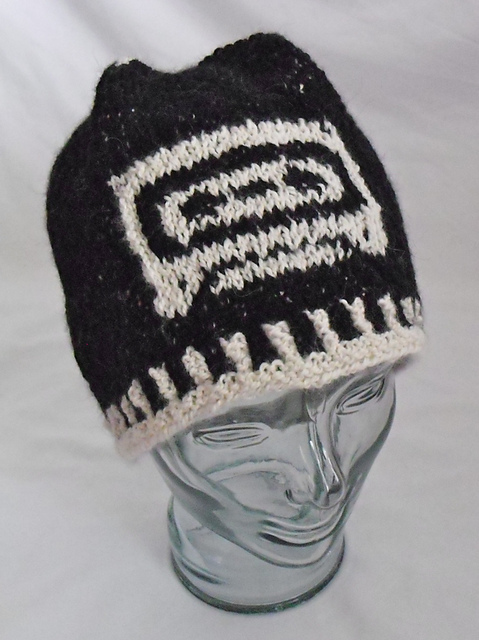 The Throwback hat is a cozy alpaca beanie to remind you of your favorite mix tape! 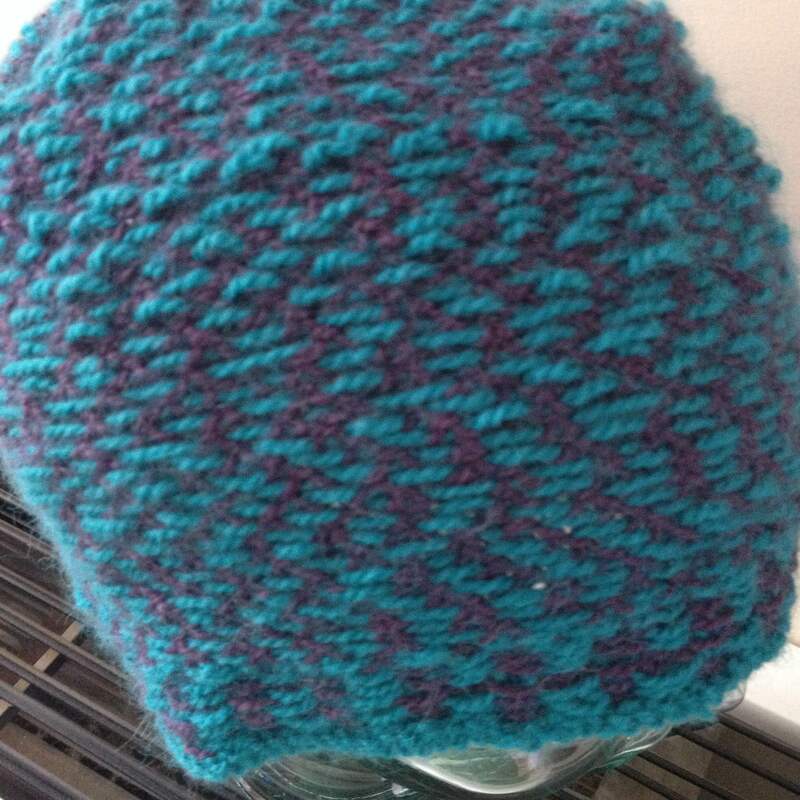 The neat thing about this hat is the technique used to knit it, Armenian Knitting! It’s not a well known technique, but don’t let that stop you from trying it out! It creates a tweedy fabric that looks like intarsia but it’s not! It’s a stranding method that has you carry both main color and contrast color throughout the entire garment! The benefit of this is being able to knit in the round! I don’t like seaming hats so this is a perfect alternative! Here’s a video that demonstrates the trapping method used in Armenian Knitting. It’s from Eunny Jang and Interweave, so it’s high quality! I found it easiest to work this in a two handed style, one color in each hand but if you’ve got nimble fingers, it can be worked from a single hand. I’m both an English knitter and a Continental knitter so that gives me a leg up when it comes to Armenian Knitting…experiment and find out what works best for you! 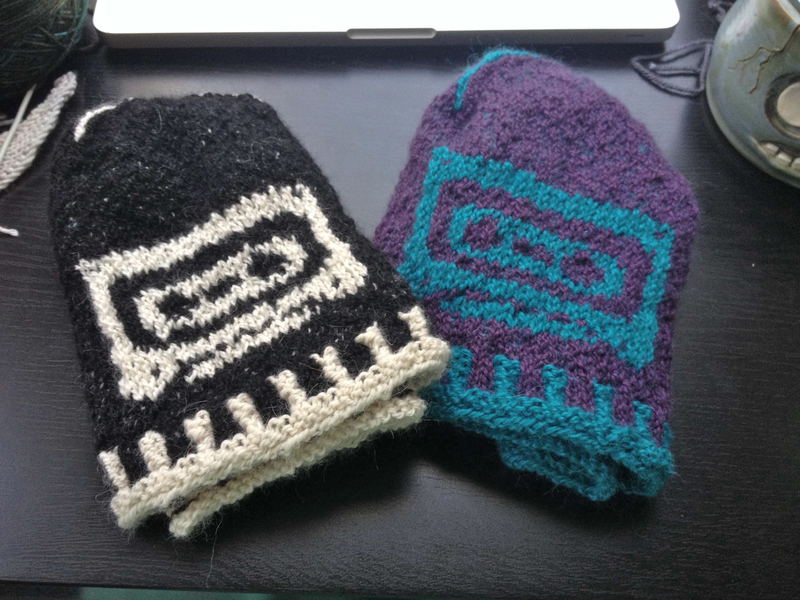 Of course, if you just like cassette tapes and don’t want to mess with learning a new complicated technique you can knit any old hat and just duplicate stitch the motif on. Or maybe you like intarsia, there is certainly no reason this couldn’t be knit flat and seamed! Or maybe you don’t wear hats, a cassette tape sweater would be pretty awesome too! It’s really fun! 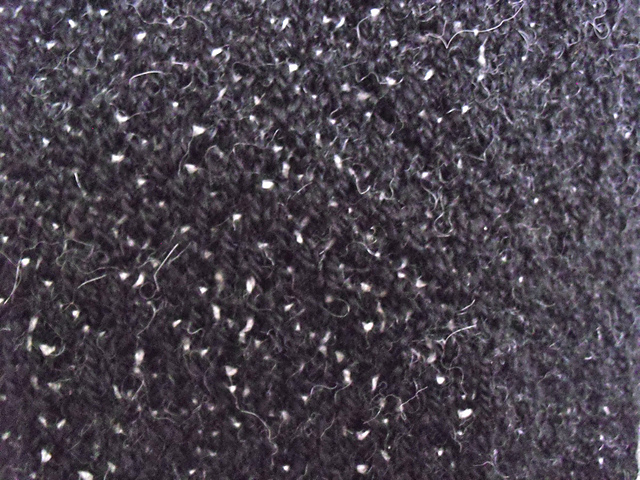 In traditional stranding techniques, it’s frowned upon to have your floats peek through…not with Armenian Knitting! It’s a design feature! That’s my kinda knitting!